Today we opened up bargaining with Windstream in Lexington Kentucky. CWA Staff Representative Charlie Maxwell (Union Chair) gave an opening statement laying down the ground rules for this bargaining session. 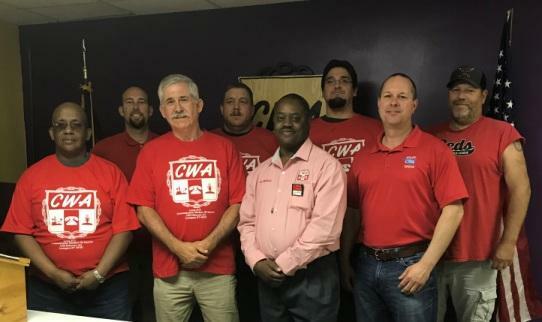 Charlie informed the company that the CWA is strong and demands respect and will also show respect likewise. The Company and Union passed proposal and gave explanations for the reasoning behind some of the proposals. Both parties caucused separately to further review in detail each others proposals. After reconvening the Union requested more data from the Company in order to make a more informed decision on the proposals. We adjourned for the day and will meet tomorrow at 9:00 a m EST.